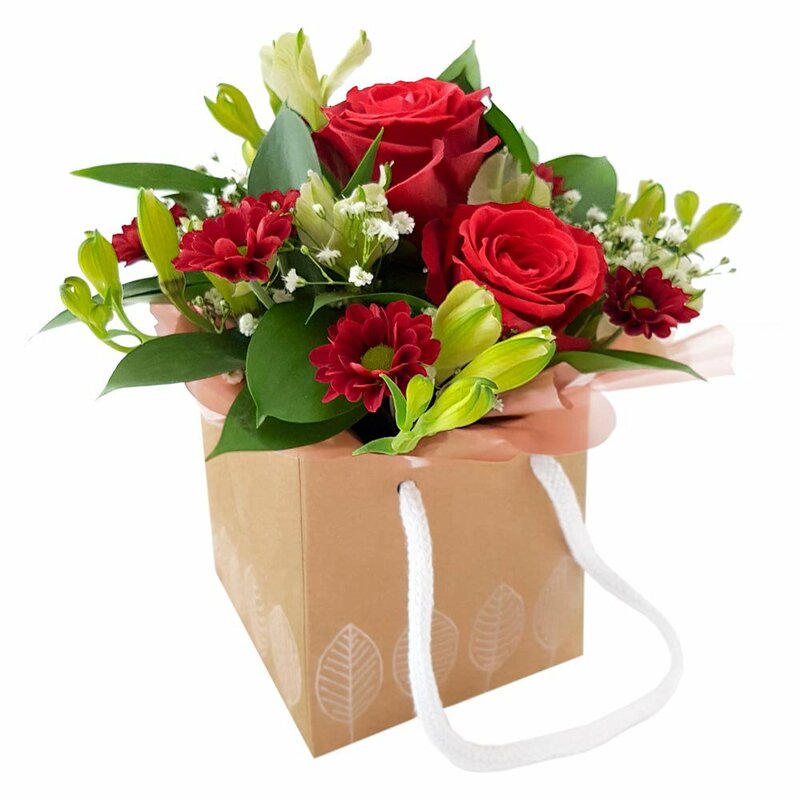 A beautiful arrangement of red roses, with complimentary flowers and foliage. Surprise them today with this delightful little treat. Same day delivery when you order before 2pm.